Timo Bernhard, Porsche works driver and incumbent long distance world champion, was engaged as a promotional ambassador for our brand Motec. He started his career at the age of 10. Timo won his first championship title in youth kart slalom at the ADAC Palatinate and four years later he won the German youth kart championship. The probably most important moment of his career was in year 1999, when he was picked up into the Porsche junior team, where he won the Porsche Carrera Cup in his fourth year. As a Porsche works driver he triumphed in the following years in many special races, like the 24 hours in Daytona or on the Nürburgring. He also celebrated wins in Le Mans and Spa, as well as endless podium places around the world. He is one of the most successful sports car pilots worldwide and since 2013 an inherent part of the Le Mans LMP1-Projekt with Porsche. He drives the Porsche 919 Hybrid at the FIA World Endurance Championship WEC including the 24 hours of Le Mans. Till today his greatest success was surely the win of the FIA World Endurance Championship last year. Since 2013 Timo and his father operate the Team75 Bernhard at the Porsche Carrera Cup and they are going to start also at the ADAC GT Masters with a Porsche 911 GT3 R this year. We are looking forward to a successful cooperation and we wish Timo much success for the season 2016. 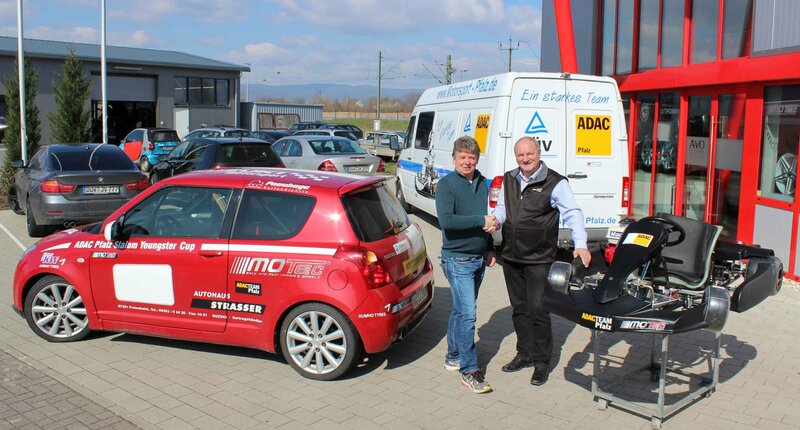 MOTEC, successful producer of high quality Motorsport- and Tuning-wheels, is supporting the youth sports of the ADAC Palatine for the Season 2016. The ADAC Palatine provides the focus on promotion for youth- and mass-sports to offer kids a meaningful leisure activity. Mr. Jürgen Volkmer, managing Director of MOTEC-Wheels, is the opinion that kart-slalom and automobile-slalom is the perfect base for the entry into the motorsport. He also said “The newcomer program of the ADAC Palatine has convinced us. It´s a perfect talent factory, because also our brand ambassador – Timo Bernhard, incumbent long distance world champion with Porsche – won his first championship 1991 at the ADAC palatine kart-slalom.” In fact of this MOTEC gladly makes a contribution for a successful promotion of young talents and supports all the activities of the ADAC Palatine.